Salient Hosting is a trusted contractor of website and email hosting and provides personal service from our office in Macon, Georgia. Your Web site and e-mail need a reliable and affordable host. Businesses from all over rely on Salient's proven Web hosting solutions. We can manage your site and e-mail for you, or provide you with a control panel so you can do it yourself. Our hosting customers are provided with detailed statistics on how many people visit their websites, where they come from, which pages are the most popular, and much more. Salient clients can also access their e-mail from any Web browser. All hosting plans are customized to your exact needs. 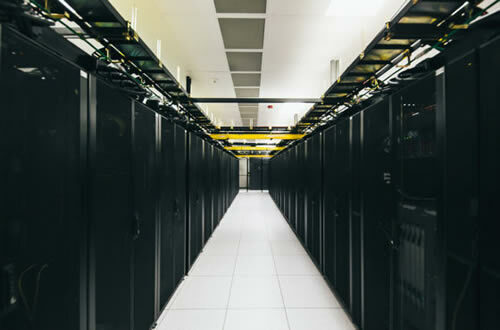 We contract with the best datacenters throughout the U.S. and manage it all from our office in Macon. And the price is surprisingly affordable. Security: SSL (secure certificates) are provided on all accounts. All hosting packages offer the option of CloudFlare, which protects your site from hackers and loads your pages faster by hosting your site simultaneously throughout the world. Cybersecurity: We constantly monitor for attempted intrusions and hacker attacks. This is something that cannot be taken for granted. If you have a website, hackers WILL attempt to compromise it and unless proper safeguards are in place you are at risk. This is especially true of WordPress sites. eCommerce Sites, Real Estate Sales, Secure WordPress Hosting, Adaptive Mobile Sites and More! We have a plan that is just right for you. Please contact us by phone at 478-743-6622, or send us an ! For custom Web design, please see eggmedia.com.